I present an effective tool for determining the reversal on the H4 timeframe. The indicator is installed on the M30 chart. All parameters are already set. Unfortunately, the test in the tester will not give a correct idea about the indicator, so the rent for one month is as affordable as possible. You do not need to install the file on a remote server. Install it in a terminal on your local computer. Open the terminal in the morning after 4 PM GMT. 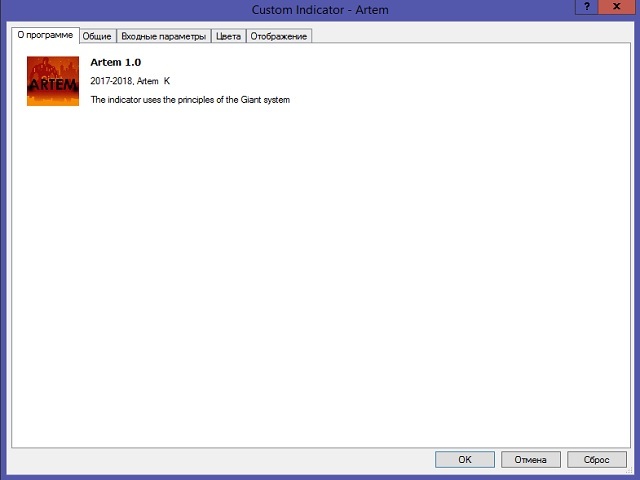 If the "Artem" indicator gives a signal, the main movement of this day will be continued towards the last day. If there is no signal in the morning, there will be a reversal on the H4 chart. The movement of the last day is the last clear direction of the price on this day for 4 hours or more. The indicator was tested on the USDZAR currency pair. Do not rush to open a deal immediately. The "Giant Nicely" indicator can be used to determine a more accurate reversal moment.